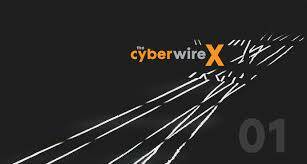 In the second episode of their new, four-part series, called “Ground Truth or Consequences: the challenges and opportunities of regulation in cyberspace,” Cyberwire take a look at the impact GDPR has had since its implementation in May 2018. Joining them are Emily Mossburg from Deloitte, Caleb Barlow from IBM, and Steve Durbin from ISF and Jason Hart, CTO for enterprise and cybersecurity at Gemalto.. This article originally appeared in Engineering News, South Africa here. The European Union’s General Data Protection Regulation (GDPR) came into effect almost two months ago. Leading the way to a new era of data protection, the long-awaited GDPR has emphasized the importance of data security more than ever before. Besides tarnishing their reputation, businesses face the risk of encountering large fines if they don’t align with the regulation. This finding forces me to think – the majority of companies don’t understand the value of their data, because they aren’t taking the necessary steps to study the information they are gathering from customers. That’s why organizations are stunted in the process of applying appropriate security controls to protect the valuable information they possess. Unsecured data is a hacker’s dream. Attackers can offer it up to the dark web or use ransomware, causing financial loss and reputation damage. It can take years to uncover data manipulation, which can put everything from an organization’s business strategy to product development at risk. In today’s digital world, data informs everything, so its value cannot be underestimated. We’ve all seen our fair share of breaches this past year that illustrate how detrimental they can be to an organization. This gap in people’s confidence in their organization’s data protection policies indicates the reason for continuous breaches: twenty-seven percent of organizations reported their perimeter security was breached last year. Of those that had suffered an attack, only 10% of the compromised data was protected by encryption, leaving the rest exposed. In order to secure their networks IT professionals need to use encryption, which, paired with other solutions, will provide an essential security base for a robust system needed to guard sensitive information. When it comes to cybersecurity it’s a valid question to ask, “Who’s in charge?” It’s crucial for organizations to get their houses in order, starting with determining who will be responsible for overseeing security measures. Every executive board needs to have a Data Protection Officer, a chief individual who leads data security from the top down. Second, organizations must organize and study collected data to properly protect it and make informed business decisions. Lastly, IT pros need to change their outlook on security as a whole. It’s no longer a case of if, but when a breach occurs. Therefore, organizations should implement a comprehensive approach to cybersecurity, using methods such as encryption, two-factor authentication, and key management in addition to perimeter protection. Over the years, security experts’ predictions about potential costs of a breach have been increasing. Cybersecurity Ventures estimates the costs related to cybercrime damages to reach $6 trillion by 2021. From upgrading IT infrastructure to paying legal fees and government fines – many costs are either tangible or intangible. We’ve now reached the tipping point on the implications of data breaches, that can negatively affect company’s market value and ruin the reputation of the corporate and management teams. When it comes to cybersecurity it’s a valid question to ask, “Who’s in charge?”It’s crucial for organizations to get their houses in order, starting with determining who will be responsible for overseeing security measures. Every executive board needs to have a Data Protection Officer, a chief individual who leads data security from the top down. Second, organizations must organize, and study collected data to properly protect it and make informed business decisions. Lastly, IT pros need to change their outlook on security as a whole. It’s no longer a case of if, but when a breach occurs. Therefore, organizations should implement a comprehensive approach to cybersecurity, using methods such as encryption, two-factor authentication, and key management in addition to perimeter protection. This article first appeared on CSO Online here. The plethora of data breaches within the past few years have set off alarms for organizations, especially their IT managers. We’ve seen that many attacks weren’t secured with the appropriate controls and protection, which left sensitive data vulnerable to hackers. As a result of these countless attacks, last month, the General Data Protection Regulation (GDPR) was finally enacted in the EU to ensure that if breaches occur, then consumer information would be guarded. The law represents the most substantial modification to data protection in the Union since 1995. Replacing the previously adopted directive, the regulation has authority over all EU states to provide uniformed data protection. However, member states of the Union aren’t the only ones impacted by this regulation, any company doing business in the region must comply. Companies based in the United States are being held accountable along with other non-EU countries, and so, many companies have been making internal alterations to avoid the severe penalties for non-compliance. If there’s one thing we’ve learned from recent history, it’s that we have a growing data security crisis. According to the Breach Level Index (BLI), 2.6 billion records were stolen, lost or exposed globally in 2017. Since the BLI began tracking breaches five years ago, nearly 10 billion records have been compromised. Between 2016 and 2017 alone, we witnessed an 87.5 percent jump in the number of breached records. There is a chance that these numbers will increase, because there are still breaches that go unreported. It’s difficult to turn a blind eye to the news as there is a story about a major security breach where consumer data is either accessed or stolen every week. The BLI revealed that 1,453 data incidents occurred in the United States last year. Even well-known companies that we all trust with our personal and financial information have been affected, including Facebook, Uber, and Equifax. The most distressing thing is not the number of incidents but the scale of the attacks that affects thousands and sometimes millions of users. While the reporting requirements of GDPR make the problem more visible, it becomes apparent that conventional data security and breach prevention measures would not be able to provide adequate defense against pervasive cyberthreats. One of the most important obligations in the new law is to alert authorities and affected individuals when a data breach takes place. Organizations with careless security procedures will be exposed in time and might face financial penalties. The level of transparency that is mandatory as stated in the disclosure documents, opens the door for organizations to be publicly shamed after suffering a data breach. Service providers who manage consumer data, such as cloud providers, will be held responsible. Companies are also being forced to adopt certain security measures to mitigate threats and possible consequences after experiencing an attack. Encryption has been mentioned by the European Union Agency for Network and Information Security (ENISA) as a critical and effective base to reach legal benchmarks for security and control in rendering data unintelligible. In other words, companies should secure data at the application level, while it is in motion, and when it is stored. This approach shouldn’t be limited to financial data but should be used for all valuable data of involved parties. A common error that companies commit is storing the keys where the data dwells. In doing so, they leave private information at risk of being exposed. Organizations must remember that their data is only as secure and accessible as the keys used to encrypt the information. Crypto management platforms consider this risk and are able to create, rotate and delete keys. Using hardware security modules, extra trust anchors for encryption keys are provided. Evaluating current risks in an organization can help align entry controls with specific data processing situations. An authentication strategy must be established to safeguard user identities and allow authorized users to access systems and other data. Efficient controls use systems like multi-factor authentication that require an added level of verification, a passcode sent to a cell phone for example. Today, being breached is not a question of “if” but “when.” Therefore, security professionals always need to think about conducting risk analysis to prevent, detect, and block data breaches. A necessary foundation to reach this level of security is provided by encryption solutions. When encryption is combined with other protection measures, these appliances form a robust basis for achieving compliance with GDPR. Now that the regulation is effective, it’s time to move quickly (if you haven’t already). Companies need to start taking steps to change their outlook on security when protecting user data. It’s clear that conventional methods to data security aren’t working anymore, so it’s time to step away from breach prevention and focus on a “secure breach” approach. This article first appeared in CSO Online here. New findings of the Breach Level Index were released today by Gemalto, revealing that 2.6 billion records were stolen, lost or exposed worldwide in 2017, an 88% increase from 2016. While data breach incidents decreased by 11%, 2017 was the first year publicly disclosed breaches surpassed more than two billion compromised data records since the Breach Level Index began tracking data breaches in 2013. GDPR Report – GDPR Summit London: Should you be worried about a data breach? Reports of business data breaches have unfortunately become commonplace. This week, the corporate finance giant Deloitte has suffered a cyber-attack that compromised confidential data, including the private emails of some of its clients. “Today’s announcement that Deloitte was hacked is not a surprise. Breaches will – and ARE continuing to happen—to expect otherwise would be unrealistic. As an industry, we need to truly know our surroundings, meaning knowing exactly where data resides, who has access to it, how it is transferred, when it is encrypted/decrypted – really the entire supply change of digital users and the data. Of the 1.9 billion data records compromised worldwide in the first half of 2017, less than 1% used encryption to render the information useless. Ever since the vote to leave the EU last year, it’s been unclear how much, if any, of the incoming GDPR legislation would be applied in the UK. Thankfully, the government has taken this on board, and today revealed plans to improve our current data protection legislation. This overhaul of UK data protection law is a big step towards updating the country’s approach to cybersecurity. By putting control of their personal data back in the hands of consumers, the pressure is on for businesses to ensure they are adhering to data protection laws. Those that don’t risk losing consumer trust. Incorporating the incoming GDPR legislation into UK law is an important step, as it will dispel any uncertainty businesses had around its fate post-Brexit. With the deadline for compliance fast approaching, there is now no reason for UK businesses not to be moving towards meeting these data protection laws. While it’s all well and good talking about compliance, it’s another thing entirely to understand the steps a business must take to work towards it. So, what does a business need to do, to ensure it’s protecting the data it holds? Below are six steps every business should undertake on its journey towards GDPR compliance. The first step that any business needs to take is to understand how each aspect of the legislation apply to them. By conducting a full audit against the GDPR legal framework, a business will need to understand what it needs to do and what the consequences for failing to do so are. As part of this compliance audit, a business should hire a Data Protection Officer (DPO), who will be responsible for ensuring the company adheres to the regulations. Ideally, a DPO would have a background in both law and technology, so they’re able to understand both the technical specifications and the regulatory framework needed to meet this. Every organisation is different, and so no GDPR journey will look the same – correct guidance from business leaders to employees is needed ensure the whole company understands how to be compliant. Once a business understands the steps they need to take, it’s important that they keep a record of the process. This is best done with a Data Register – essentially a GDPR diary. The Data Protection Association (DPA) of each country will enforce GDPR, and be responsible for judging if a business is compliant when determining any penalties for being breached. In this event, the Data Register will be a crucial tool for demonstrating the progress the affected business has made in becoming compliant. If they have no proof, the DPA would be able to fine between 2% and 4% of the company’s turnover. The amount and speed of the DPA’s decision would depend on the sensitivity of the data. While understanding what protections, if any, are already in place is important, this step focuses on helping businesses understand what data they need to protect and how that is being done. First, a business must locate any Personal Identifiable Information – information that can directly or indirectly identify someone – of EU citizens. It’s crucial to know where this is stored, who can access it, who it has been shared with etc. It can then determine which data is more vital to protect. In addition to this, it’s important to know who is responsible for controlling and processing the data, and making sure all the correct contracts are in place. Next, a business needs to evaluate how that classified data is being produced and protected. Regardless of how data is collected, the first priority should always be to protect the user’s privacy. Businesses should ask themselves if they need the sensitive data they have collected – this data is worth a lot to a hacker, and has the greatest risk of being stolen. Businesses should complete a Privacy Impact Assessment and Data Protection Impact Assessment of all security policies. When doing this, it’s important to keep the rights of EU citizens in mind, including restrictions of processing and data portability. In particular, any data third parties use to identify someone must be deleted if requested by that individual and approved by the EU. It’s crucial that all this data is correctly and promptly destroyed and can’t be accessed. This process is known as the “right to be forgotten”. Evaluating how the business protects this data comes next (for example, with encryption, tokenisation or psuedonymisation). The evaluation must explore: any historical data, the data being produced and any data that is backed up – either on-site or in the cloud. This data must be anonymised to protect the privacy and identities of the citizens it relates to. All data needs to be protected from the day it is generated to the day it is not needed. Of course, there’s more to compliance than just protecting the most sensitive data – the next stage of the process is to assess and document any other risks, to discover any other processes or areas that might be vulnerable. While doing this, the business should update its Data Register, to show the DPA how they are addressing any existing risks. Only by doing this can a business demonstrate to the DPA that it is treating compliance and data protection seriously and with respect. Finally, the last step on the compliance journey focuses on revisiting the outcome of the previous steps and remediating any potential consequences, tweaking and updating where necessary. Once this is complete, businesses should evaluate their next priorities and repeat the process from step four. The basis of this new data protection bill and GDPR is to push businesses into action and start putting security at the top of the agenda. When next May comes around, businesses won’t be able to hide anymore. It’s vital to start making the preparations for compliance now, before it’s too late. It’s not a case of if, but when, a breach occurs and that revelation could cause serious damage to their reputation. Not only this, but businesses will also face severe fines. With just a year to go, there are no longer any excuses for businesses when it comes to protecting their customers data. What can you do to prepare for the emerging GDPR requirements? Read Preparing for the General Data Protection Regulation.